Our Digital Checking accounts allow a convenient and safe place to keep your money, allowing online access for bills and other expenses. You get a Mastercard® Debit card to use when you need to pay for things or get cash from one of our nearby ATMs. 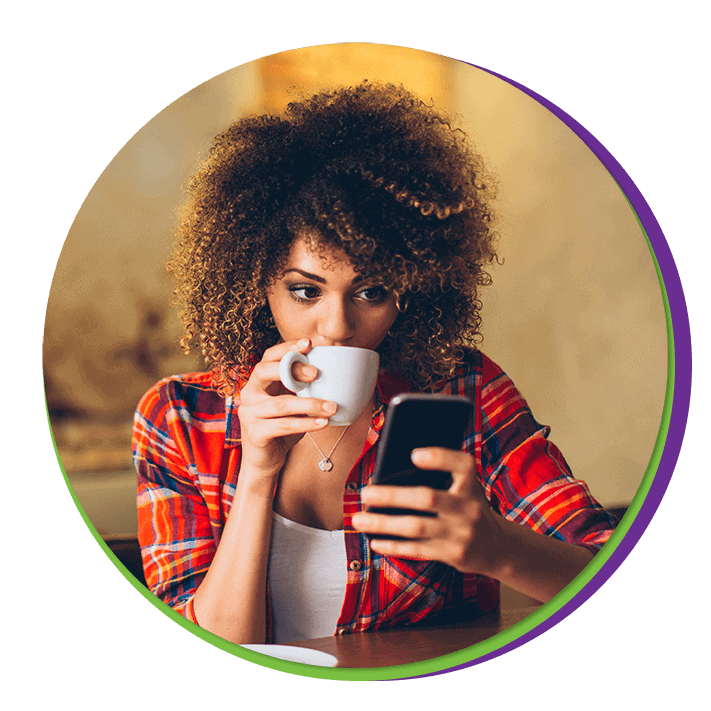 With our Internet Banking, Mobile Banking and Bill Pay, you get a powerful app that makes it easy to track your spending, pay bills, etc. all digitally. There are no monthly maintenance fees, unlimited transactions and best of all - no minimum balance to get started. $0 - No minimum balance. $0 to open the account. You'll get a Peoples State Bank Mastercard® Debit Card, with access to Internet Banking, Mobile Banking and Bill Pay. A minimum of 5 e-transactions is required per month. There is a $0.25 charge for each paper check clearing the account. Unlimited transactions. Including unlimited number of deposits and debits to your account. Overdraft fees apply to overdrafts created by check, in-person withdrawal, bank service charges, or other electronic means. Overdraft fees may also apply to one-time debit purchases and ATM withdrawals if a consumer has opted-in to overdraft services at Peoples State Bank. Enrollment in E-Statements with statements issued monthly is required. Failure to do so will result in your Digital Checking Account converting to a Regular Checking account and a monthly service charge will be incurred.